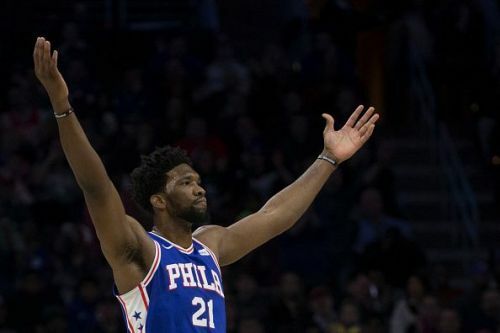 The Philadelphia 76ers had an easy win over the New York Knicks in a matchup between the two Atlantic Division rivals. The 76ers had an embarrassing defeat at the Spurs in the previous match. 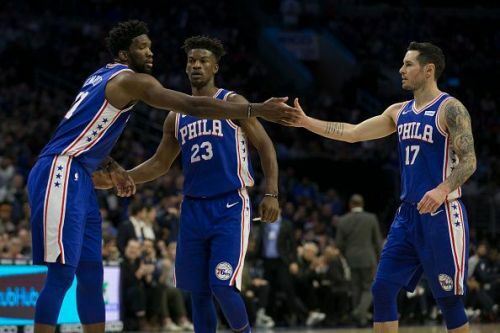 With the victory, the 76ers improve to a 21-12 record and are currently placed at the 3rd position in the Eastern Conference playoff standings. The Knicks are struggling for consistency at this moment and are one of the bottom teams in the NBA with a 9-24 record. The 76ers had an eight-point lead after the first half. They were really clicking on offense from the first quarter alone. They scored 38 points on nearly 70% shooting from the field in the first quarter. The lead increased to 14 points before the start of the fourth quarter. The 76ers were always in total control of the match. 76ers had lost three of their last four matches and badly wanted to win this match to end this slump. The 76ers shot 53.4% from the floor and 50% from the 3PT line where they went 15-30. This level of shooting at home is generally always good enough for a victory at home. The 76ers also showed great effort on the glass in this match. They outrebounded the Knicks 51-35. They thoroughly dominated all the stats in the match and left the Knicks with no chance. The 76ers are one of the top teams in the NBA this season. With the addition of Jimmy Butler, they now have three-star players in their line up. They will be hoping to come out of the East and challenge for the championship this season.